This might be the best upcoming Winter of movies in ages. I’m specifically talking about the end of November through December. Just slightly over a month, and so much going on. In that time, there are a number of movies that look fantastic, then others that look very good, and still a few more that have some real potential. Of course, the two big ones are Star Wars: The Force Awakens and The Hateful 8. Those movies are both poised to be tremendous. For me, it’s a tough call regarding which one I am more excited for. 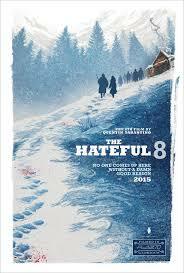 If the Star Wars movie wasn’t directed by JJ Abrahms, than I would easily side with The Hateful 8. And that of course would be mainly due to Quentin Tarantino. But Abrahms is so good at what he does, and everything about Star Wars looks great, that it’s nearly impossible to pick one movie over the other. Especially since The Hateful 8 looks so intriguing. In the case of both of these movies, it’s about the filmmaker more than anything else. There are plenty of bonuses, of course, such as the way The Hateful 8 all takes place in one cabin where the characters are trapped together after being snowed in. With Star Wars, the bonus is getting the original cast back together. But it’s the filmmakers and their proven track records which really show that these movies will be made with great quality and intelligence. Now that’s just the first two movies. There are two others that look very good, and then two more that have some real potential. The two that look like they should be a lot of fun are The Night Before and Sisters. The Night Before is a Seth Rogen comedy about three buddies hanging out for one night at Christmastime. It looks like a wild, one night, letting loose on the streets of New York City, kind of movie. Like the previously mentioned films, this one is all about one name. Rogen. He has a proven track record as well. Knocked Up, Superbad, Pineapple Express, This is the End, Neighbors, and the Interview. Of those movies, the only ones Rogen didn’t write were Knocked Up and Neighbors. And even with those, Rogen was able to insert his own brand of humor. The guy is super talented, and The Night Before looks right up his alley. With Sisters, I’m a little more skeptical, only because I didn’t love the last Tina Fey – Amy Poehler movie, Baby Mama. The difference here, is that Sisters is rated R (Baby Mama was PG-13.) As such, perhaps they are going more for the Bridesmaids / Trainwreck level of humor, which is definitely a good thing. It’s the go-for-broke, holding nothing back when it comes to being funny, element, that was originally introduced to us by Judd Apatow movies (both Bridesmaids, Trainwreck, and also all of those Rogen movies were Apatow produced.) And Sisters looks like it should be pretty funny. The premise about these girls moving back in with their parents and throwing a massive party sounds like it should be good for a whole bunch of laughs. It also sounds a little like Step Brothers, and that movie was pretty good. The two other movies worth mentioning are Creed and Crampus. Something tells me I can wait for both of those to see on DVD. Not that I think they will be bad or anything, but I just don’t know if they will be must sees in theaters, like the other four most likely are. Creed in particular, I am not as into as I thought I would be. That’s probably because the promotion and buzz around it haven’t been great. Then again, the critics reviews are pretty good. It’s more of the lack of momentum than anything else. Is this being promoted as a Rocky movie or as something else? I’m not even sure that the people behind the movie have a clear answer to that. Still, it definitely looks interesting, and to see Stallone back in that role, only playing a side character, definitely seems like the way to go. If this were another Rocky movie with Stallone as the star, I would have no interest at all. 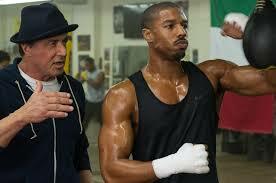 Doing it this way, featuring Michael B. Jordan up front, very well might be the best approach. With Crampus, I’m not sure what exactly it is, but I like the energy and spirit I see in the trailer. First of all, we always need a good Christmas movie. 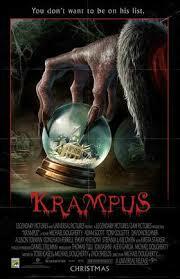 This Christmas we are being given both Krampus and The Night Before. And like The Hateful 8, Krampus is about characters who are snowed in and confined to a single house. It’s a sort of horror-Christmas movie, and that’s fine, but what I’m really curious about is what tone the movie will have. I’m hoping for some humor and campiness. Something like the Evil Dead 2. With a cast that includes Adam Scott, Tony Collette, and David Koechner, you would think it has to be a comedy. I certainly hope so. Lastly, there’s the Revenant. This is a movie that looks more artsy and Terrence Malick-like than anything else. It’s directed by Alejandro Gonzalez Iniritu, (the director who made Birdman last year.) People are really excited about this movie because it is Iniritu and because it stars Leonardo Dicaprio. With me, I just don’t know. It might be a little too slow and artistic, much like the way that Malick’s films are. Sure, Birdman was good, but other than that, this director hasn’t done much. His most known movies are Babel, 21 Grams, and Amores Perros. Not exactly a stellar resume. And Dicaprio is a good actor, but it seems like he’s had luck on his side based on the filmmakers he’s been working with, more than anything else. With The Wolf of Wall Street (Scorcese), and Django Unchained (Tarantino,) I give the directors more credit for how those films turned out, than I give to Dicaprio. So The Revenant could really go either way. So there you have it. Two Christmas movies. Two movies about being snowed in and stuck in one location. Two straight up comedies, featuring either Apatow players or SNL players. An action movie that is incredibly promising (Star Wars), A possible throwback movie to the Rocky series, and a possible horror-comedy. And all of this is not even mentioning the surefire Oscar bait that will be released that month. Movies like Carol (about a lesbian couple, featuring Cate Blanchet,) The Danish Girl (about a transgender male, featuring Eddie Redmayne,) and Trumbo, (about the blacklisted screenwriter during the McCarthy era, featuring Bryan Cranston.) Lots of good movies to look forward to in just a small amount of time. So far, just saw Creed and it was pretty good. A definite crowd pleaser. This movie had just the right amount of Rocky, which means he was hardly the star, but was featured quite a lot. And it also made a bunch of references to the Rocky series, while at the same time really feeling like a spin-off and like its own thing. I have to say, I’m impressed. Nothing felt cliched or ridiculous, and instead, we got a pretty thrilling film. The boxing scenes, in particular were incredibly well-filmed. As of now, I have only seen two of the movies mentioned. Creed and The Night Before. Of those two, Creed was the better one. The Night Before was just okay. Some of it was funny, but it wasn’t one of Rogen’s better films. 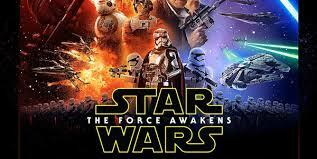 Star Wars: The Force Awakens is out, and I plan to see that real soon. Sisters is getting bad reviews. Crampus did well, but I think I’ll wait for that one to come to video. 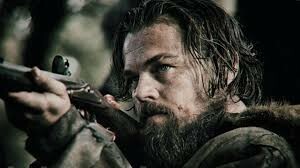 The Revenant I’m still very undecided about. And then there’s the Hateful Eight. That and Star Wars are the movies I just have to see! I can’t wait!